This Rio has been certified by CARFAX as a 1-owner vehicle with a no accidents reported. It also qualifies for our Lifetime Power-train Warranty, offered here at Gee Kia of Coeur d'Alene. Dressed in black and looking good, this economical sedan is ready to get you around and save you gas doing so. With hands free phone connectivity, power windows, A/C, ancillary ports and more, you've got a great little car offering convenient and fun features to make for an enjoyable ride.George Gee Cadillac Kia is committed to 100% customer satisfaction, no exceptions. Thanks for checking out our vehicle online. Please come and visit us at 317 West Dalton Ave, Coeur d'Alene, ID or give us a call at (208) 667-7416. - Free Lifetime Warranty is valid only on New and Used Vehicles with less than 100,000 miles and 5 Years Old or Newer. Valid exclusively at George Gee Cadillac Gee Coeur d'Alene See dealer for full details and exclusions. This 2012 Sportage is certified by CARFAX as a 1-owner vehicle with a clean history report. The Kia Sportage is a popular crossover vehicle and this SUV has been taken care of and is full of great features. This EX has all wheel drive, fog lights, tow package, double sunroofs, leather seats, electric driver seat, heated front seats, duel zone A/C, ancillary ports, hands free phone connectivity and more... and all at a great low price! Run, don't walk, to come see this great SUV. George Gee Cadillac Kia is committed to 100% customer satisfaction, no exceptions. Thanks for checking out our vehicle online. Please come and visit us at 317 West Dalton Ave, Coeur d'Alene, ID or give us a call at (208) 667-7416. - Free Lifetime Warranty is valid only on New and Used Vehicles with less than 100,000 miles and 5 Years Old or Newer. Valid exclusively at George Gee Cadillac Gee Coeur d'Alene See dealer for full details and exclusions. Come see this Hybrid Optima! It is certified by CARFAX as a 1-owner with a clean vehicle history report. It also qualifies for our Lifetime Power-train Warranty offered here at Coeur d'Alene George Gee Cadillac Kia. This 2015 hybrid Optima makes you feel good knowing you are helping the environment and has a great color and look with features to help you enjoy driving it. It has fog lights, Duel Zone A/C, ancillary ports, wireless hands free phone connectivity, cruise control, and more. George Gee Cadillac Kia is committed to 100% customer satisfaction, no exceptions. Thanks for checking out our vehicle online. Please come and visit us at 317 West Dalton Ave, Coeur d'Alene, ID or give us a call at (208) 667-7416. - Free Lifetime Warranty is valid only on New and Used Vehicles with less than 100,000 miles and 5 Years Old or Newer. Valid exclusively at George Gee Cadillac Gee Coeur d'Alene See dealer for full details and exclusions. This Optima has been certified by CARFAX as a 1-owner vehicle with a clean history report. 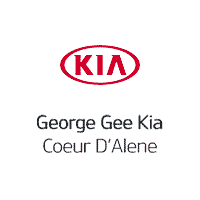 It also qualifies for our Lifetime Power-train Warranty offered just here in Coeur d'Alene Geoge Gee Kia. Optimas have roomy cabins and trunk space and are a great mid-sized sedan that still get good gas mileage. This 2015 model has fog lights, electric driver's seat, UVO, CD player and ancillary ports, and more. Our mission is to ensure all our customers have a positive auto buying experience and are completely satisfied with their new vehicle. Thanks for checking out our vehicle online. Please come and visit us at 317 West Dalton Ave, Coeur d'Alene, ID or give us a call at (208) 667-7416. - Free Lifetime Warranty is valid only on New and Used Vehicles with less than 100,000 miles and 5 Years Old or Newer. Valid exclusively at George Gee Cadillac Gee Coeur d'Alene See dealer for full details and exclusions. Welcome to George Gee Cadillac Kia. Our team strives to make your next vehicle purchase hassle free. This vehicle is eligible for our free lifetime power-train warranty available exclusively at our dealership. The Kia Sorento is the perfect family vehicle, and this model comes with third row seating, and plenty of extra trunk space. The Sorento is also an all wheel drive vehicle so it makes those muddy or snowy weather conditions less of a hassle! Thanks for checking out our vehicle online. Please come and visit us at 317 West Dalton Ave, Coeur d'Alene, ID or give us a call at (208)667-7416. - Free Lifetime Warranty is valid only on New and Used Vehicles with less than 100,000 miles and 5 Years Old or Newer. Valid exclusively at George Gee Cadillac Gee Coeur d'Alene See dealer for full details and exclusions. This 2018 Sportage is a certified CARFAX 1-owner with a clean vehicle history report. It also qualifies for our Lifetime Power-train Warranty offered here at George Gee Cadillac Kia in Coeur d'Alene. Sportages are our popular crossover SUV. With a great look, fun drive and versatile, roomy cabin, this is a great vehicle to suit your busy lifestyle. This LX version has features like fog lights, split folding seats, all wheel drive, backup camera, ancillary ports and more. George Gee Cadillac Kia is committed to 100% customer satisfaction, no exceptions. Thanks for checking out our vehicle online. Please come and visit us at 317 West Dalton Ave, Coeur d'Alene, ID or give us a call at (208) 667-7416. - Free Lifetime Warranty is valid only on New and Used Vehicles with less than 100,000 miles and 5 Years Old or Newer. Valid exclusively at George Gee Cadillac Gee Coeur d'Alene See dealer for full details and exclusions. This 2018 Sportage is a certified CARFAX 1-owner with a clean vehicle history report. It is a manufacturer certified pre-owned vehicle and also qualifies for our Lifetime Power-train Warranty offered here at George Gee Cadillac Kia in Coeur d'Alene. Sportages are our popular crossover SUV. With a great look, fun drive and versatile, roomy cabin, this is a great vehicle to suit your busy lifestyle. This LX version has features like fog lights, split folding seats, all wheel drive, power driver seat, heated front seats, blind spot and lane departure detection, backup camera, and more. George Gee Cadillac Kia is committed to 100% customer satisfaction, no exceptions. Thanks for checking out our vehicle online. Please come and visit us at 317 West Dalton Ave, Coeur d'Alene, ID or give us a call at (208) 667-7416. - Free Lifetime Warranty is valid only on New and Used Vehicles with less than 100,000 miles and 5 Years Old or Newer. Valid exclusively at George Gee Cadillac Gee Coeur d'Alene See dealer for full details and exclusions. This 2019 Sportage is a certified CARFAX 1-owner with a clean vehicle history report. It is a manufacturer certified pre-owned vehicle and also qualifies for our Lifetime Power-train Warranty offered here at George Gee Cadillac Kia in Coeur d'Alene. Sportages are our popular crossover SUV. With a great look, fun drive and versatile, roomy cabin, this is a great vehicle to suit your busy lifestyle. This LX version has features like fog lights, split folding seats, all wheel drive, backup camera, ancillary ports, and more. George Gee Cadillac Kia is committed to 100% customer satisfaction, no exceptions. Thanks for checking out our vehicle online. Please come and visit us at 317 West Dalton Ave, Coeur d'Alene, ID or give us a call at (208) 667-7416. - Free Lifetime Warranty is valid only on New and Used Vehicles with less than 100,000 miles and 5 Years Old or Newer. Valid exclusively at George Gee Cadillac Gee Coeur d'Alene See dealer for full details and exclusions.